3 Does Activation of the Inflammatory Pathways in the Brain Cause Epilepsy in WS? 4 Does Activation of the Inflammatory Pathways in the Brain Contribute to the Associated Comorbidities and Progression? 5 Can Activation of Certain Inflammatory Pathways Be a Compensatory or Protective Event? 6 Are There Interactions Between Inflammation and the Neuroendocrine System That Contribute to the Pathogenesis of WS? 7 Does Activation of Brain Inflammatory Signaling Pathways Contribute to the Transition of WS to LGS? 8 Are There Any Lead Candidates or Unexplored Targets for Future Therapy Development for WS Targeting Inflammation? Stress and Inflammation in Disorders, Volume 108, the newest volume in this ongoing series, brings forth new information on protocols and analysis of proteins. 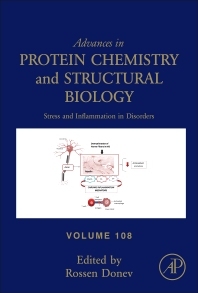 This volume covers the latest on Oxidative Stress: Love and Hate History in the Central Nervous System, Neuroinflammation in Alzheimer's Disease: The Preventive and Therapeutic Potential of Polyphenolic Nutraceuticals, Inflammation in Epileptic Encephalopathies, A Computational Approach to Identify the Biophysical and Structural Aspect of Methylenetetrahydrofolate Reductase (MTHFR) Mutations (A222V, E429A and R594Q) Leading to Schizophrenia, and Analyzing the Effect of V66M Mutation in BDNF in Causing MOOD Disorders- A Computational Approach. Each release in the Advances in Protein Chemistry and Structural Biology series is an essential resource for protein chemists, with each thematically organized volume guest edited by leading experts in a broad range of protein-related topics. Rossen Donev received his PhD degree in 1999 from the Institute of Molecular Biology, Bulgarian Academy of Sciences. He did postdoctoral training at Imperial Cancer Research Fund, UK (renamed after the merger with Cancer Research Campaign to Cancer Research UK, London Research Institute) and Cardiff University. 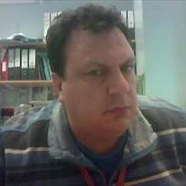 In 2010 Dr. Donev was appointed Senior Lecturer in Swansea University. Currently he is Head of Research at MicroPharm Ltd, UK and Director of Biomed Consult, UK. He has published more than 60 research papers, has chaired scientific meetings in Molecular Medicine and given plenary talks. Rossen Donev has consulted on projects related to development of treatments for neurodevelopmental disorders and cancer therapies. He serves as Editor-in-Chief of the Advances in Protein Chemistry and Structural Biology and on editorial board of several other journals. His research interests include signaling pathways involved in neuropsychiatric disorders and tumor escape from the immune system, and development of therapeutic strategies for their treatment. More recently he has focused on design of antibody-based oral treatment of pathological conditions of the colon and small intestines.